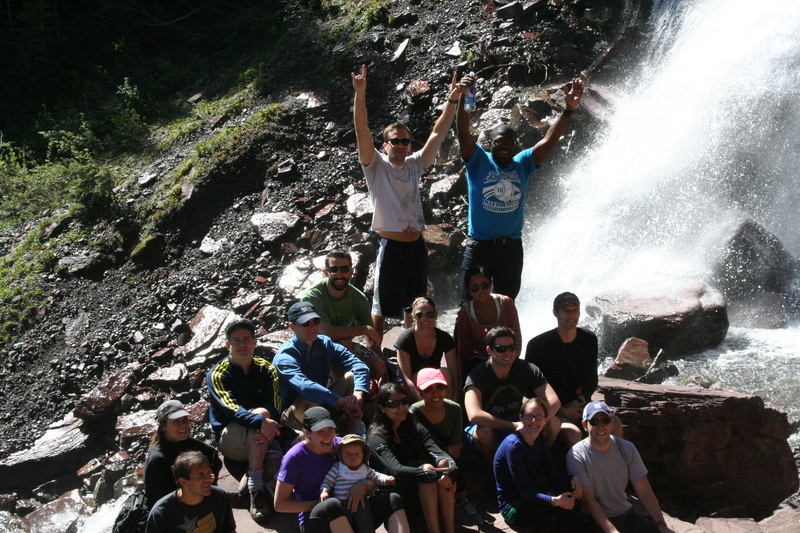 Day 3 at the Telluride Patient Safety Educational Roundtable and Resident Summer Camp started with the annual hike up to Bear Creek Falls–an excellent team building exercise that always leads to relaxed and enlightened discussion about the work to be done and the knowledge gained from the week. It also provides yet another opportunity to get to know colleagues on a personal level, and build lasting relationships that will provide a support system for quality and safety efforts once everyone returns to their respective institutions. Coincidence or not, we started the day near the top of the San Juan mountain range, and throughout the day it was reinforced that to achieve meaningful change in healthcare, it is imperative that hospital leadership not only supports, but leads the charge. Jill Prafke led a thought-provoking workshop on how to build effective teams with the ability to institute change during the afternoon session. Resulting discussion among residents and faculty reinforced these initiatives are most effective when those at the top set expectations for a culture of respect and transparency, and then follow through with support as bumps in the road to change arise. The diversity in the cultures and, as a result, the work environments the residents come from, ranged from the very functional to those that still had much room for improvement. One of the residents shared a story of how his chairman instituted “The Disney Way” at the hospital, and how the required self-introductions, complete with Disney character representation to patients and other staff members was resulting not only in deeper connections among colleagues, but efficiencies in workflow. His upbeat attitude and apparent “joy at work” that Lucian Leape references as a must in the transformation of healthcare was evident. In contrast, another resident shared how the strained inter-professional relationships at her institution was a result of ineffective management. While she remained positive and upbeat, she also knew the work environment was less than optimal. With a 20-1 patient to resident/intern ratio, this system seems stretched to its limits, and unless a stronger attempt at culture change occurs soon, it will be hard to retain the well-intentioned. In Maureen Bisignano and Charles Kenney’s book, Pursuing the Triple Aim: Seven Innovators Show the Way to Better Care, Better Health, and Lower Costs the authors reference seven characteristics of the hospitals highlighted who were successful in transforming to centers of excellence. Having hospital leadership on board with those efforts was one of those characteristics. A discussion with the authors can be heard by clicking this link to the IHI Website. Please share examples of what your organization is doing to support a culture change that is transparent and focused on patient-centered care, as well as the challenges that have been encountered along the way and how they were overcome.